There's a lot of mythology around what a martial arts master is capable of, from leaping between buildings to turning invisible. 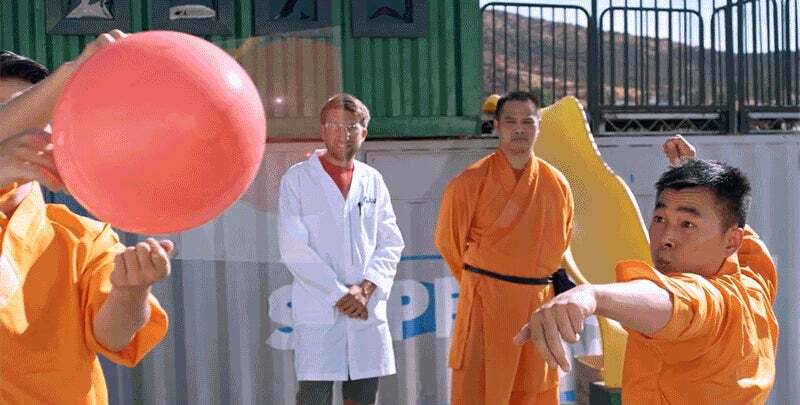 But The Slow Mo Guys and their slow-mo camera spent some time with three Shaolin monks who demonstrated an amazing ability to throw a needle through a sheet of glass. As far as ninja-like skills go, throwing a needle with such tremendous force isn't immediately as impressive as hurling shurikens. But through the lens of a high-speed camera it looks superhuman — and as a tool for taking out an enemy (like a balloon that disrespected your family), a needle might actually be the perfect covert weapon.